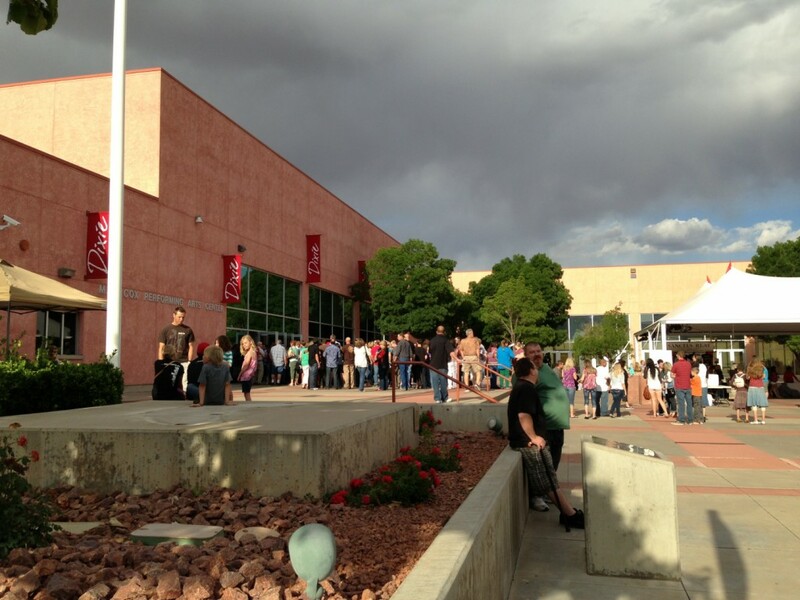 ST. GEORGE – A crowd of concert-goers filled Cox Auditorium to near capacity at Dixie State University Saturday night. 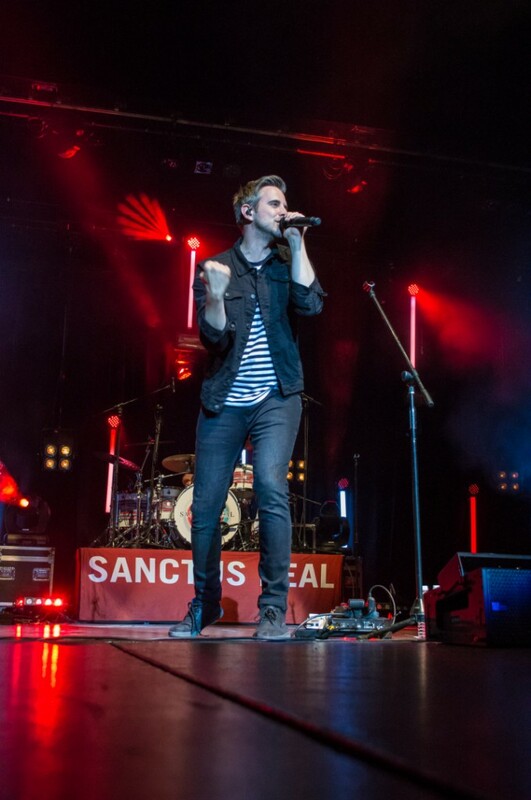 “The Promises Tour” concert, headlining contemporary Christian music performers Sanctus Real, JJ Heller, Bread of Stone and Unspoken, was the first such concert of its kind in Utah’s Dixie. 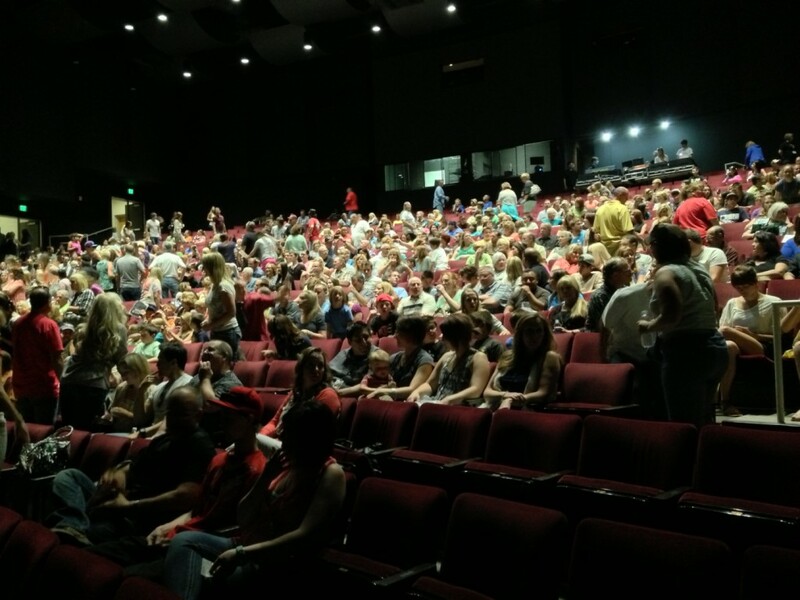 The concert was a success by accounts of those who attended, but it was tested at the outset when a fire alarm went off around 6:15 p.m. requiring the auditorium to be evacuated. 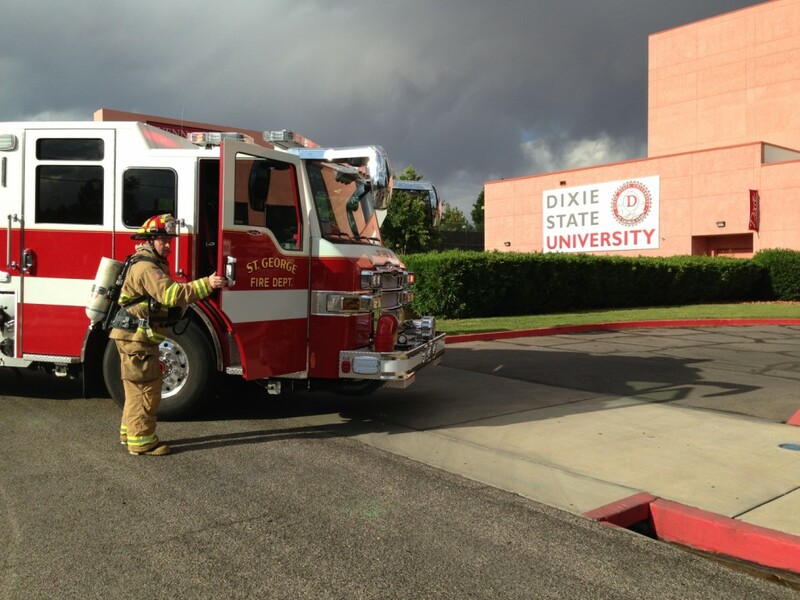 St. George Fire Department responded to what turned out to be a false alarm, and cleared the incident for the concert to proceed as scheduled by 7 p.m. 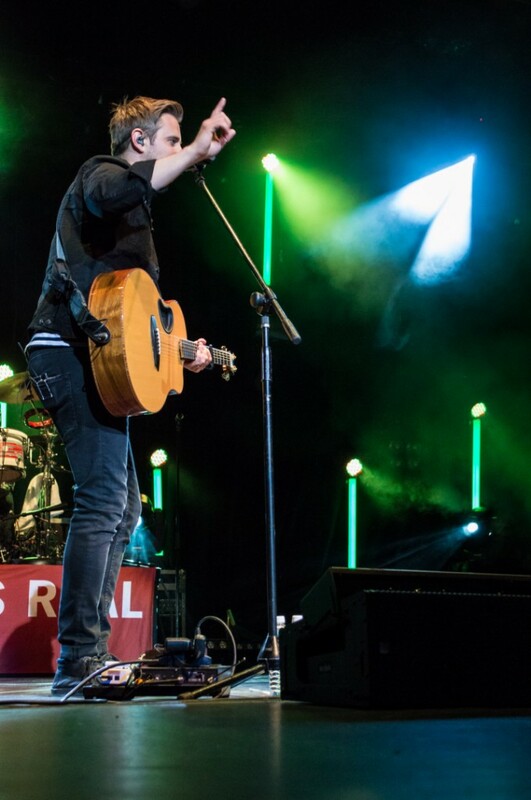 The coming of this kind of concert to St. George was well received: Of 1,200 tickets available, 1,080 sold and it would take more than a fire alarm to deter the enthusiastic fans. 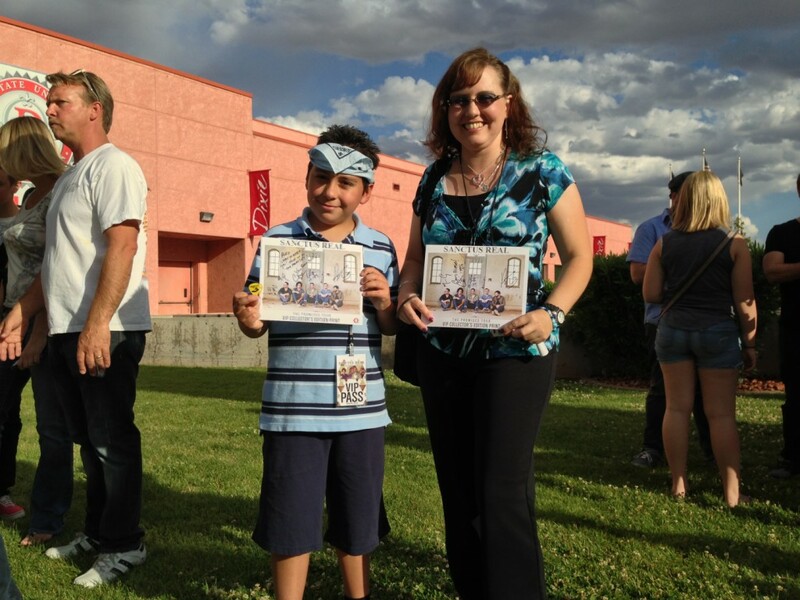 Abby Snow got VIP tickets for the concert and took her son, Alex Snow, blindfolded. 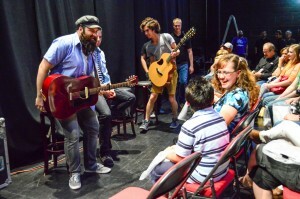 As VIPs, the Snows were invited backstage to meet the performers, where she removed the blindfold and Alex found himself standing right in front of his favorite band, Sanctus Real. 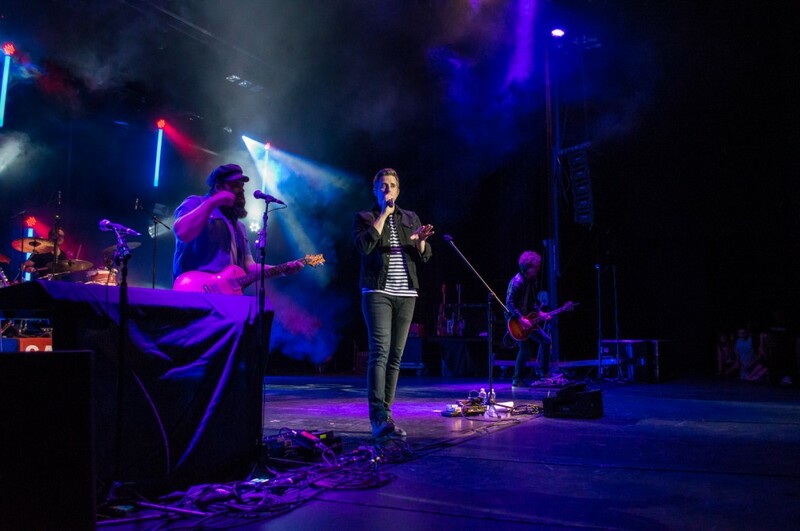 Sanctus Real presented a message of hope for eternity with Jesus as well as a message calling on teens – and others – to change lives themselves through compassion. Presenting a video for Compassion International, the groups showed how a support opportunity for teens in El Salvador saved lives from poverty, drugs and ruin; and Saturday’s audience was largely moved to tears. 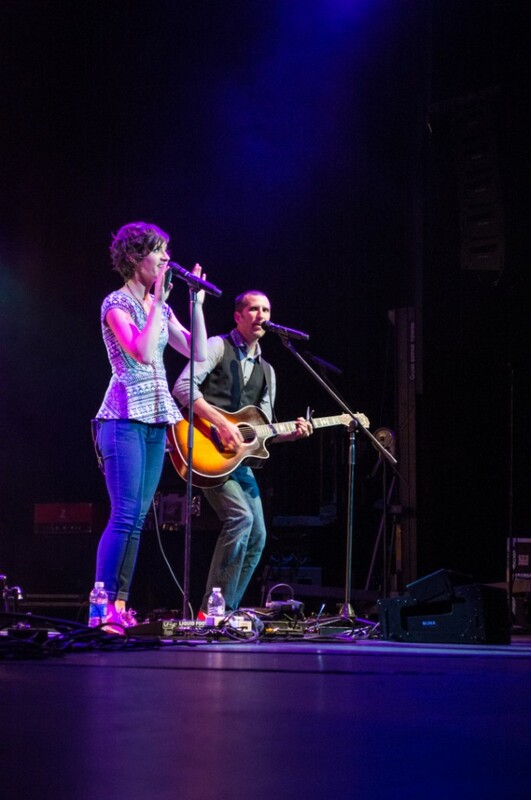 Hope Pregnancy Care Center promoted the night’s concert, and net proceeds from the concert go to Hope – Gifts of Hope. 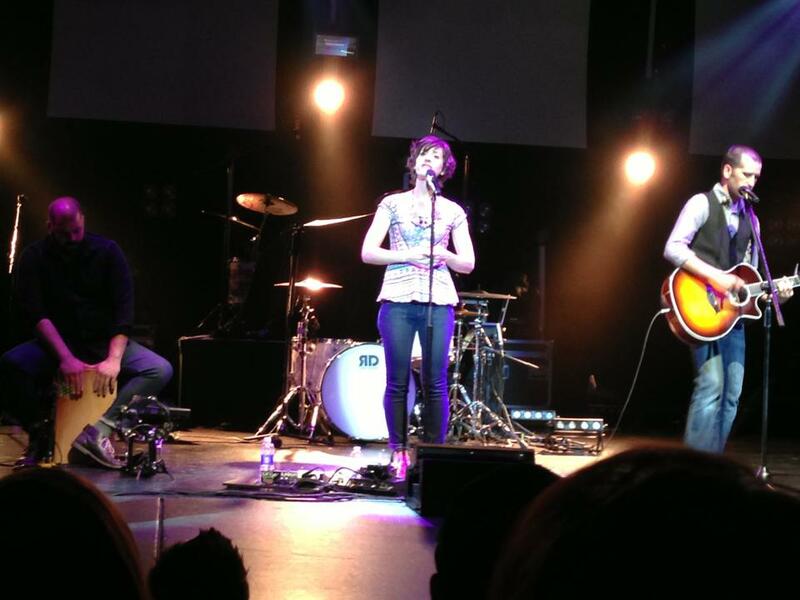 Awesome and inspiring concert! You did a great job with your pictures, Dave, and the article! Keep up the great work! What a spectacular show. 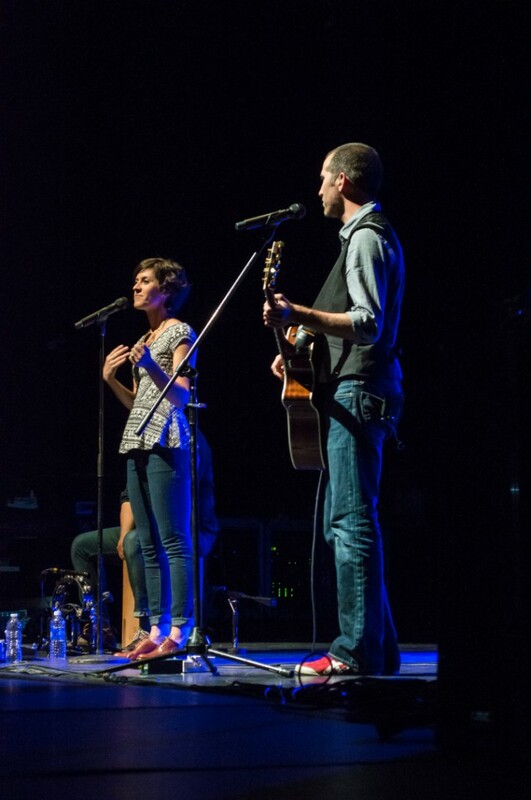 Isn’t it amazing that a 3 hour concert can happen and not even one F- word had to be invoked. Real talent doesn’t need to subsidize itself with vulgarity. This is the one that should have been outdoors for all the world to hear. Great music with a great message. Darren your absolutely right! It would have been a wonderful show for all of the area to enjoy. No vulgarity, no sexual innuendo. 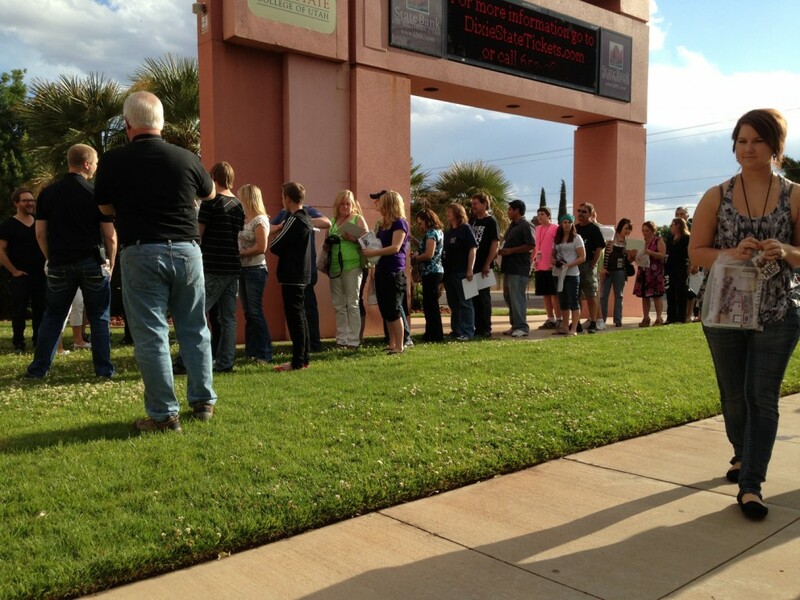 Even with a fire alarm, everyone was nice, pleasant and great to be around. Had no problem taking younger kids to this, no need to worry about what they would be exposed to. 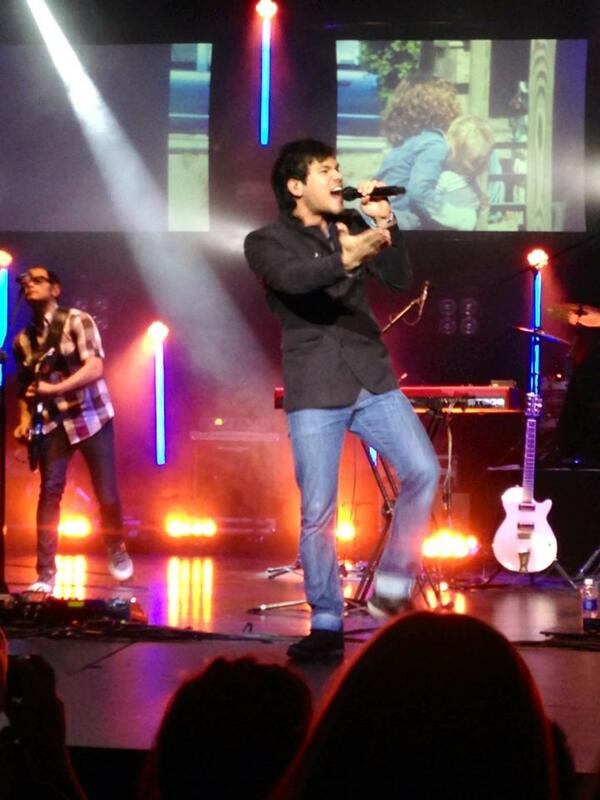 Awesome show!! Maybe now we can start getting more groups to come here. We usually drive to Vegas or Salt Lake. 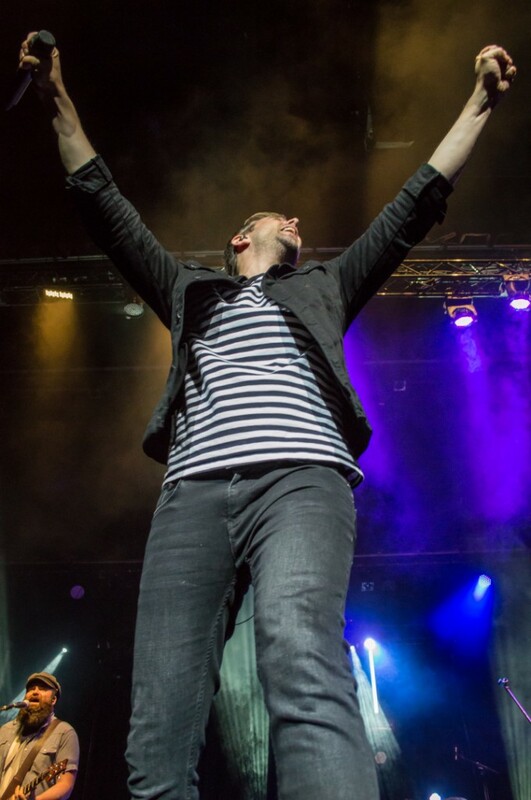 That is great you got to get close to Matt!! Me and my son got the VVVVVIP treatment! 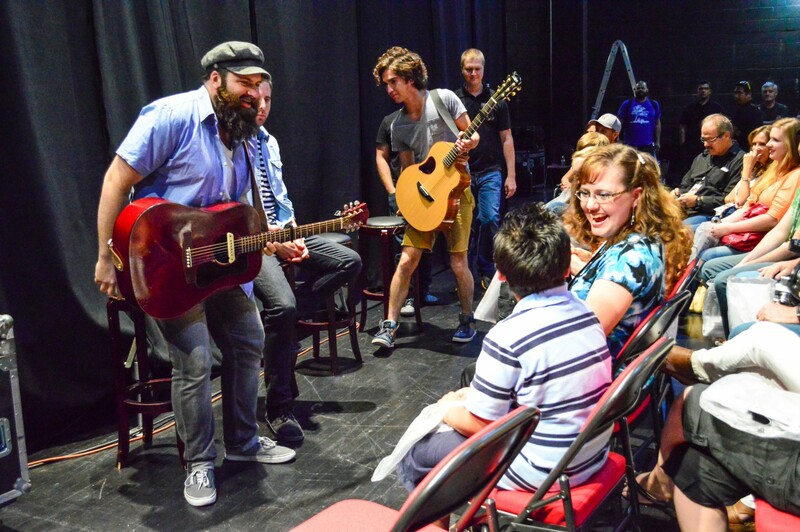 This article talks about Matt shouting out my son, Alex’s name.Also he pulled him on stage. Mark the drummer sat by us for a while backstage and then gave my son his drumsticks after the show and autographed them. Chris gave him a guitar pick. 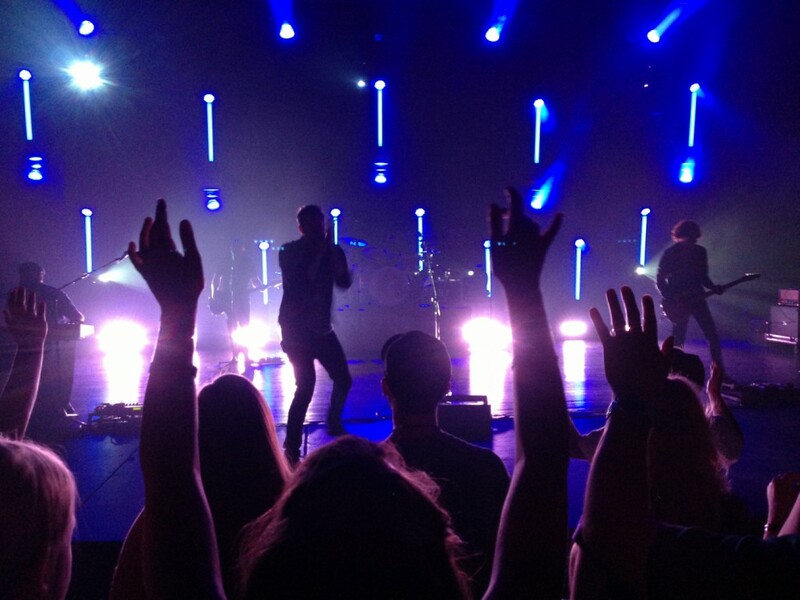 Pete was right in front of us slapping our hands. We got to talk to all of them backstage, and went outside with them when the fire alarm went off and took pictures with them. 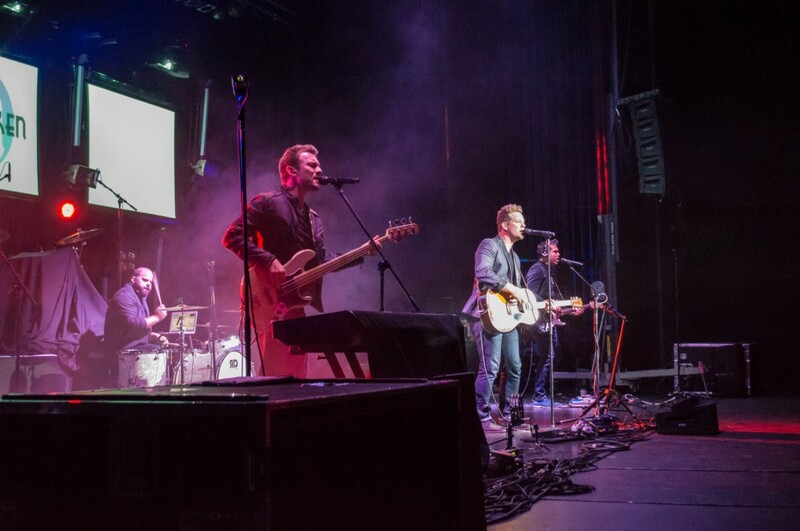 I am not bragging, just want to say we are so blessed to have had that experience with such a great group that spreads inspiration and hope in Christ with their music! !